We’ve had a number of requests for the ability to create an Order in FileMaker and upload that to WooCommerce so it is available for customers to view when they login. We had been planning to add this in already so this will now be included in the next release – there’s quite a bit of work involved in ensuring the Order data is valid and gathering the correct line items, shipping lines, taxes etc, but we’re hoping to have this released in the next 4-6 weeks. We’re also working on an update for FileMaker Pro v16 users to take advantage of the new JSON functions and cURL options in the FileMaker v16 platform – this will allow you to no longer need a plugin to communicate with the WooCommerce API, making it easier if you’re using FileMaker Go and FileMaker WebDirect and not having to use server side scripts. 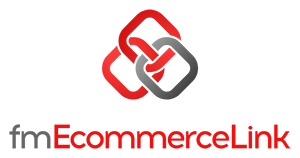 This is a free update to all our existing customers – you can get the full details of the changes in the release notes for fmEcommerce Link (WooCommerce Edition). If you have any additional feature requests please get in touch.